Please enjoy enough! When you back from game, please come my website again. Thank you for your reply on e-mail. Please don’t mind about double posts. :) Have a fun game! 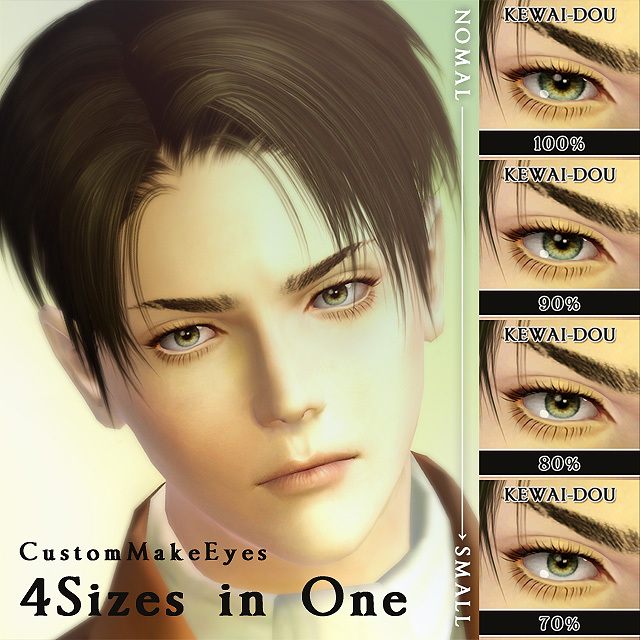 Thanks for making 4 versions, becuase I don’t use Awt’s eyeball slider and mod, because it conflicts with my eyelashes sliders. And you have versions in different tastes! Thanks again! Could you perhaps upload it in another server too? Anyway, I really like your works! What hair did you use? I love Levi! @Kelly – How about you have patience. She will share it when and if she wants to. Thank you :) I’m glad to you liked these. 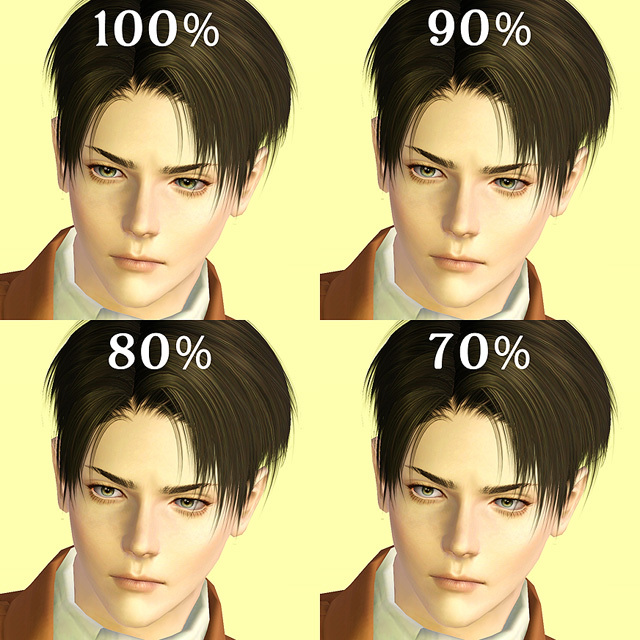 Ummm… I think that you can find this hairstyle at very near. Thank you. Sorry I think I don’t to make default replace type. Please enjoy for changing eyes size! I use Ephemera’s skin. His works are my favorite. It’s so cool. What skin are you using? It look sso awesome!